Sony is not providing the traditional PDF manual for the Sony a6400. 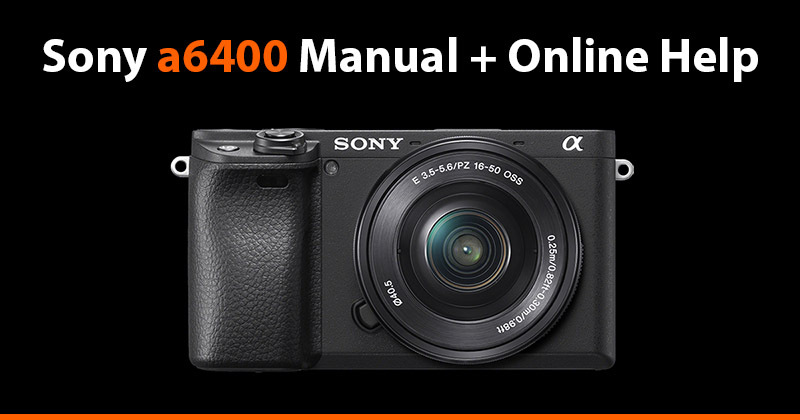 However, I’d actually recommend looking at the Sony a6400 Online Help Guide instead of the manual even if it were available, since these days the online guide covers the camera functions in more detail than the PDF manual usually does and it’s also much easier to navigate. You can also download the a6400 Online Help guide in PDF format here, as well as the Sony a6400 Startup Guide. Sony has also created a number of very helpful a6400 tutorials that I definitely recommend checking out.